I haven't made cookies for a while and was feeling a bit overdue. 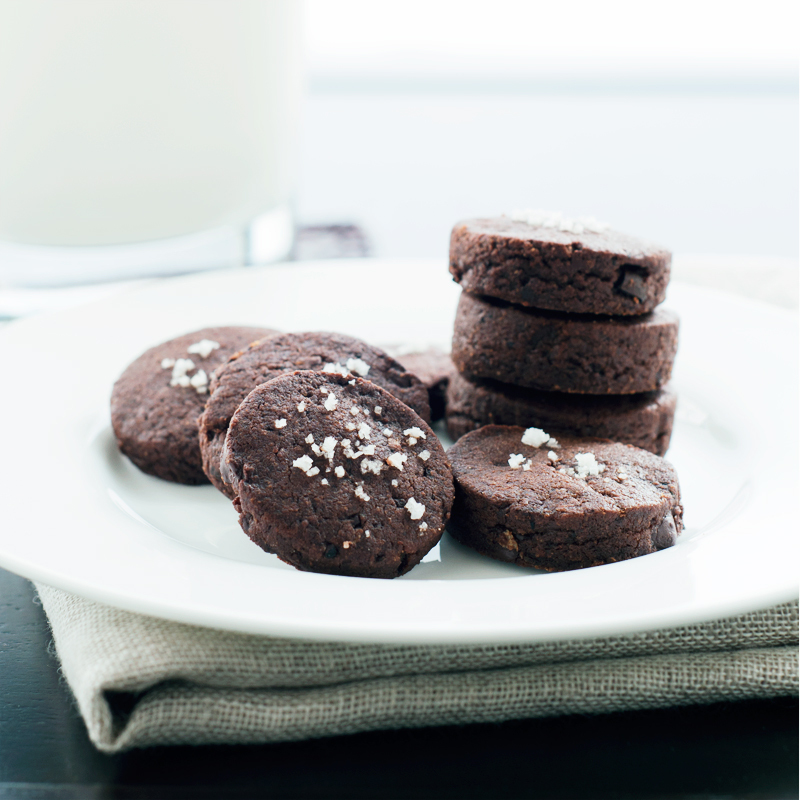 I found this recipe in La Tartine Gourmande's book, the cookies are gluten-free and really delicious. Sweet but not overly sweet. I'm not a big fan of too too sweet, where the sugar over powers any and all flavors. I liked the idea of tahini in a cookie and it works! Because they're gluten-free there are a number of unique flours in the recipe that I don't seem to have on hand, er, well I might, I have a bag of mystery flour, from Whole Foods bulk section, I'm certain it was for a Bea recipe a while ago, but the twist tag is missing and now I have an unknown gluten-free flour to work with at some point. But for these cookies I did have some gluten-free all purpose flour, so I swapped that for all the other flours (as noted in recipe below). She recommends mixing with a kitchen-aid, but I've found when there's a small amount of ingredients to mix it just doesn't work so well and just pushes everything to the side of the bowl, so I just hand mixed with a fork and it worked fine. Hope you enjoy! In large bowl cream together butter, sugar and tahini (you can use a stand mixer as well). Beat in the vanilla and egg. In a separate bowl mix the flours, salt and baking soda. Add the flour mixture to the butter mixture until well combined. Using a spatula stir in the chocolate and nuts.